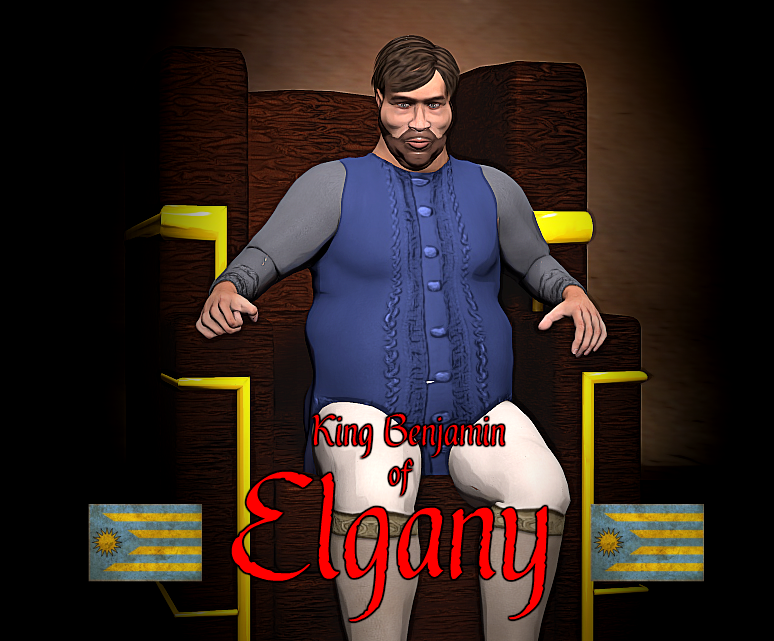 King Benjamin presides over the Kingdom of Elgany. A glorious southern kingdom known for its warm climate, it’s inventive people and it’s vast wealth. King Benjamin is friendly and kind. However, he doesn’t much like confrontations and has been known to throw gold at his problems rather than facing them head on. His beautiful and fashionable queen, Manon, provided him with four daughters – Marie, Gillian, Rachel and Mathilde. However, his pride and joy is his only son, Jean Louis. Jean is a the youngest and was a sickly infant until after a visit to Navaria where he made a miraculous recovery. On that same visit the eldest of the girls, Marie, died under mysterious circumstances. Both Gillian and Rachel were killed during the Elaris School Massacre which marked the beginning of the peasant revolt in Elgany. Gillian was beheaded by the peasant leader, Remi, and Rachel was hung from the school. The peasant revolt began through King Benjamin’s flash lifestyle. The rich in Elgany are wealthy beyond imagination but the poor struggle for survival. The class divide in the kingdom is steep. The peasants believed Benjamin cared nothing for them and so civil unrest erupted. The peasants laid siege to the elite school, killing hundreds of school children and their tutors. Benjamin, driven to anger at the deaths of the princesses, responded irrationally and the lives of many of his subjects were taken – most of them innocent. It was a dark time for the golden kingdom and one which nobles and peasants alike wish to see again. Subscribe to the page for images, news and stories from Vivika Widow’s fairy tale world of Red Snow. Click HERE to read the explosive introduction to the Red Snow series.